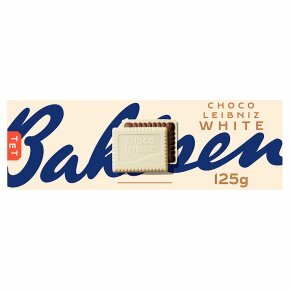 Cocoa-flavoured biscuit set in white chocolate (48%). White chocolate cocoa biscuit. No added: preservatives, artificial colours or hydrogenated fats. Suitable for vegetarians.